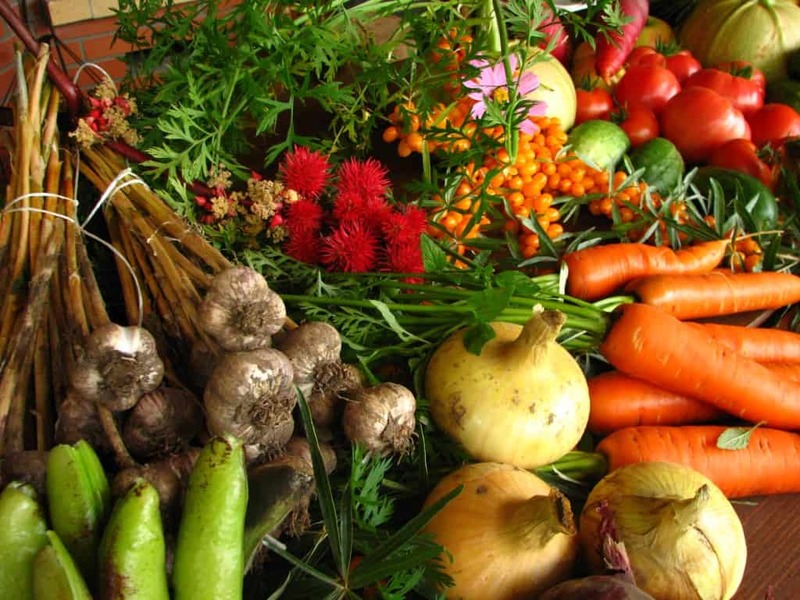 Did you know that you can grow fruits and vegetables from leftovers? 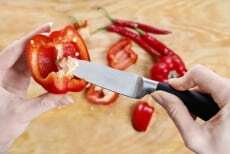 Here you'll find practical gardening growing tricks with the use of food scraps. 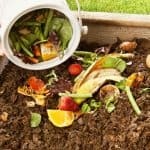 Can food scraps be grown again? 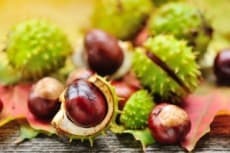 Turns out, the fruits and vegetables you’ve picked from the grocery stores or harvested from your own backyard can be given another take at life. And another. So long as you have the gardening ideas on how to regrow these assumed ‘food wastes’ on your own. And a few composting tricks will also help you make growing easier. But why re-grow when you can just harvest or buy another? Well, it’s all in the name of saving. 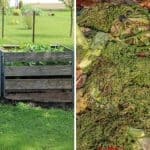 You get to cut on your grocery expense, allot your garden beds for other plants to grow, and reduce the wastes that pile up in your trash bins. 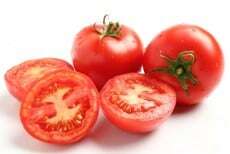 So if you’re ready to take an environment-friendly, space-saving, frugal gardening trick, we’ll show you a roundup of fruits and vegetables re-growing ideas. Prepare your unfailing wooden garden shed and gardening tools now! 1. 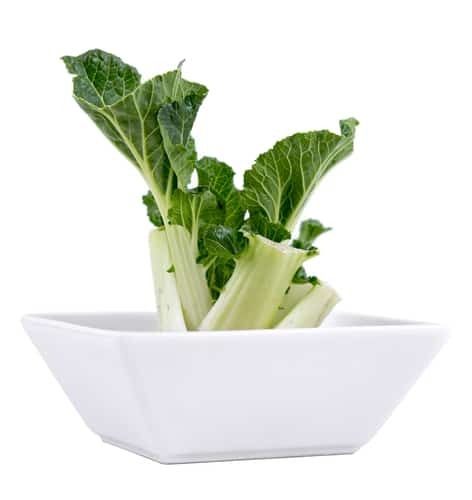 Place the base or bottom part of the stalk in a bowl with water. 2. Keep it under sunlit area. 3. Sprinkle with water twice a day for 4-5 days. 4. When roots and new leaves begin to appear, transplant in your garden bed. 1. 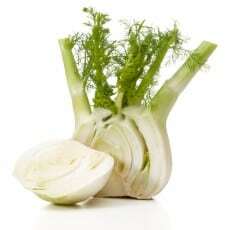 Place the bottom part of the stalk in a bowl of warm water. 2. Set the bowl in direct sunlight. 3. Watch for new leaves to grow from the base for about a week. 4. Transplant in your garden soil, covering it completely in soil except the tip of the leaves. 5. Let it fully grow. 1. Store the roots in a jar of water. 2. Set the jar in direct sunlight, keeping the water fresh every day. 3. Watch for new roots and leaves to grow after a week. 4. Transplant in your garden soil and let it fully grow. 1. Save an inch of the base with the roots intact. 2. Place in a container with water and leave it under direct sunlight. 3. Roots will grow more and new green shoots appear on top of the base. 4. 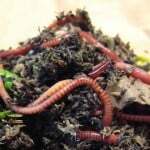 Transplant into garden soil. 1. Cut a stem about 3-4 inches long. 2. Soak the stem in a glass of water under a cool area. 3. Keep the water fresh and enough to cover the stem. 4. Roots will begin to form after a week. 5. Transplant after the roots grow to about a couple of inch. 1. Cut a few inches of stem. 3. Transplant after roots grow out of the stem to about a couple of inch. 1. Soak a few beans in a jar with half cup of water and leave it overnight. 2. Drain the water from off the jar, the following day, and replace with new water. 3. Cover the container with a towel until the next day. 4. Drain and replace water in the jar until sprouts begin to appear. 1. Cut at least two inches of the peel having a seed potato, commonly known as the “eyes,” on it. 2. Allow the peelings to dry overnight. 3. Plant them four inches deep in the soil, making sure that the eyes are faced up to let them sprout outwards the soil. 4. 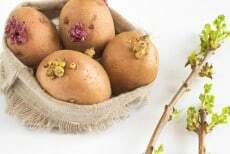 Wait for a few weeks for the potato to grow. 1. Cut the root crop in half. 2. 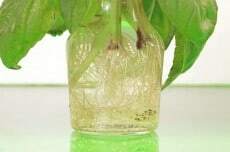 Suspend the crop over a jar of water using toothpicks and allow the bottom half of the crop to reach the water. 4. 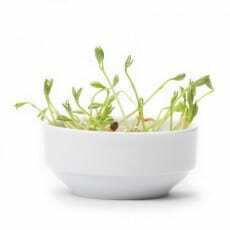 Watch for roots and sprouts to appear after a few days until the sprouts reach about 4 inches long and the roots to about an inch. 5. Carefully take the sprouts off the sweet potato and place in a bowl with the bottom part of the sprouts submerged in the water. 6. Roots will appear from the bottom of the sprouts within a few days. 7. 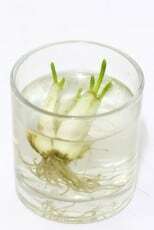 Transplant in your garden soil and water daily. 1. 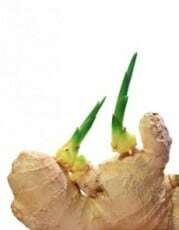 Spare a small part of the ginger root with a bud on it. 2. Soak the ginger in water overnight. 3. Plant in potting soil, making sure that the buds are faced down. 4. Place the pot in a sunny area and keep it well-watered. 5. New shoots and roots will appear after a couple of weeks. 6. Ginger will be ready for harvest after a year or less. 1. Spare a piece of clove including its base for planting. 2. Plant in the clove with the sprouts facing up the potting soil. 3. Keep the pot under direct sunlight and keep the soil moist every day. 4. New stalks will appear for about a few weeks. 5. 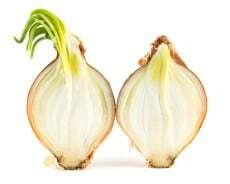 Harvest the garlic when the stalks have dried or yellowed. 1. Cut a half inch of the onion bottom together with the roots. 2. Allow the cut part to dry for a few hours. 2. Cover the onion bottom with potting soil and keep it under a sunny area. 3. Keep the soil moist until the bulbs grow; the plant will start growing after a few days. 4. When new leaves developed, remove from the pot to divide the plant in two, both having some roots attached. 5. Replant in separate pots or in a bed. 2. Place in a jar of water and keep the water fresh every day. 3. New growth appears on top within two days, and they’ll be ready to be chopped for use after a week. 1. 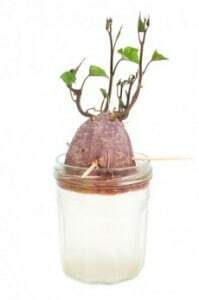 Save the tops of the turnip and place in a jar of water. 2. New green tops and roots will appear only after a few days. 3. Allow the roots to grow about a few inches until ready for transplanting. 1. 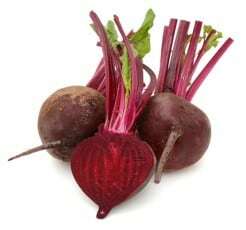 Cut some top parts of the beet and leave in a jar of water. 2. New green tops and roots will appear after a few days. 1. 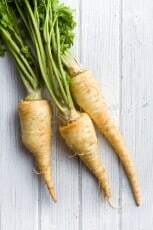 Save the tops of the parsnips and place in a jar of water. 2. New green tops will appear only after a few days. 1. Wash the seed with clean water. 2. 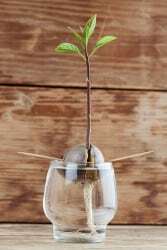 Suspend the seed over a jar of water using toothpicks. 3. Allow the bottom half of the seed to reach the water. 4. Set the jar in a warm dry place, but not under direct sunlight. 5. Check the water daily and add in as needed. 6. 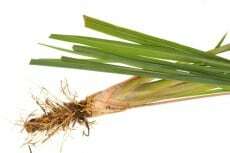 Watch for roots and stems to appear after six weeks. 7. 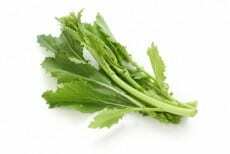 Cut and keep the stems to 3 inches until leaves begin to appear. 8. Transplant it by covering the bottom half of the seed with garden soil. 1. Rinse the seeds with clean water and let dry. 2. 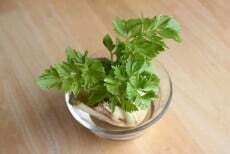 Plant in fertile potting soil and leave under sunlit area. 3. Water the soil a few times every week. 4. When seedlings start to sprout to a few inch, transplant in your garden bed. 2. Spread them out in a sunny area and cover with garden soil. 3. Keep the soil moist or water only when needed. 4. The seeds will start to sprout after a few days. 1. 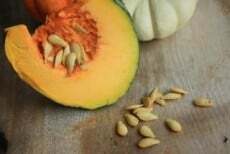 Gather a few seeds and plant them in a potting soil. 2. Keep them well-watered under direct sunlight. 3. Peppers grow fast and when seedlings are about 8 inches tall, they’ll be ready for transplanting. 1. Take out the seeds from off a few apples; the more apples, the better the chance of seeds to germinate. 2. Wrap the seeds in a wet paper towel and seal in a plastic bag. 3. Keep the bag in a cool place. 4. 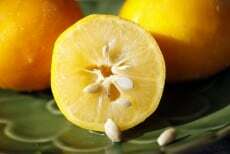 It will take about a month for seeds to germinate but check every week to maintain its moist. 5. The seeds are ready for planting when sprouts begin to appear. 6. Dig into 1-2 inches potting or ground soil and water daily. 1. 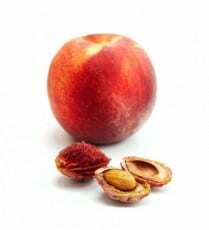 Take out a good amount of seeds from the fruit. 2. Let the seeds dry out very well. 3. Plant in a fertile soil, under a sunny area. 1. Save a few seeds for planting. 2. Clean and let dry the seeds before planting. 3. Plant in a rich soil. 4. Expect new fruits after a couple of years. 1. Carefully grab hold of the entire crown and twist hard; or cut the crown from off the fruit. 2. Remove any excess meat and let the small brown bumps below the crown appear. 3. Let the crown dry for a few days. 4. Place the crown in a jar of water, making sure that the water is fresh every day. 5. 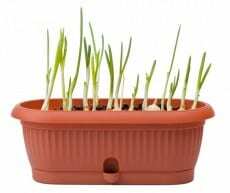 Roots will start to emerge after three weeks; plant them in a potting soil. 7. 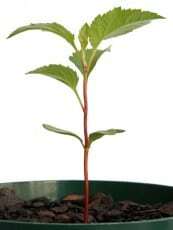 The plant should be well-rooted to the soil after about a couple of months. 8. 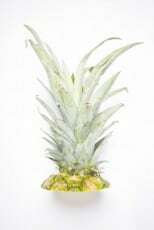 You may need to repot the pineapple after a year as the fruit continues to grow. 1. Let the nuts dry well. 2. Plant in a fertile potting or ground soil. 3. Expect new fruits after a couple of years. 1. 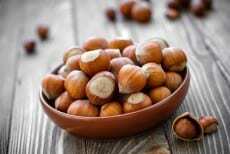 Gather a good amount of nuts; you may need more than one tree for cross pollination and better growth. 2. Let the nuts dry well. 3. Plant in a fertile potting or ground soil. As in any gardening, provide the soil with the right nutrients or organic fertiliser such as compost for best gardening produce. 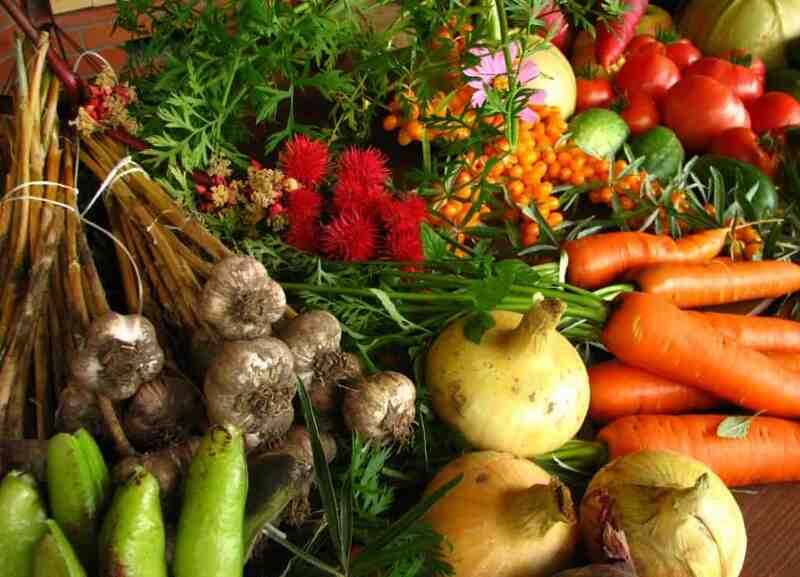 So the next time you think about throwing those vegetables and fruits scraps away, think again. 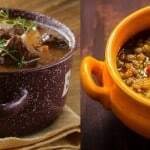 Those leftover parts may do just as well in filling your baskets with healthy food store-bought groceries.